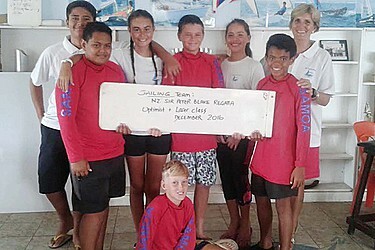 Eight sailors from the Apia Yacht Club are heading off to New Zealand to represent Samoa in the Sir Peter Blake Yachting Regatta. The event will be hosted by the Torbay Yacht Club in Auckland. Up to 500 entrants are expected to participate in this event and will be one of the biggest regattas that these young sailors have ever participated in. The group will be billeted out to local families and the trip also includes an exchange program with the Torbay Yacht Club, which includes sailing training in deep water and various cultural activities. The regatta takes place on December 2nd and 3rd.